I was born in the Southern part of Mindanao, the eldest among four siblings. ​Our father left us when I was six and our mother died of cancer when I was in high school. ​Because of our family's circumstances, I learned the dignity of working hard at an early age. I was so poor that I graduated in high school through the help of my group of friends. I called them “INCREDIBLE.” My late guidance counselor-teacher even paid for my scholarship exam fee worth PhP35. Fortunately, I passed the exams and was admitted to the Mindanao State University-Iligan Institute of Technology. I had to work as a househelp during my stay in Iligan because I did not know anyone there. I cleaned the house, washed dishes, and fed pigs in exchange for meals and lodging. I was a “kasambahay” and scholar in one. When school became difficult and the housework became taxing, I decided to use my stipend for a bed space in a boarding house. My money was not enough and it only lasted six months in such an arrangement, until someone adopted me. I helped in the household chores ​ in exchange for a meager allowance that was not even enough to pay for my fare. I had to walk several kilometers to save on transportation expenses. I was convinced even at that time, that sacrifices will bring blessings. If not immediately, then someday. I was also determined to finish my studies because I firmly believe that education unlocks the door of opportunities. This was my motivation and inspiration so that I can realize my dreams and be able to help my siblings realize theirs. Fortunately, I was elected president of our college because of the leadership I had shown. I graduated and received the university’s leadership award. After graduation, I landed a job in Cebu and later transferred to Manila as a young chemist. I continuously searched for better employment until I was employed as a junior chemist for a water treatment facility in Pasay City. After five months, I received an unexpected call for a job offer abroad. I informed the caller that I did not apply for work abroad. The caller turned out to be the former HR Manager of one of the companies where I had submitted my resume. She was already part of a recruitment company sending workers abroad. I reported for the interview, got accepted, and three weeks after, I was bound for Dammam, Saudi Arabia. I arrived on September 23, 2004. It was the Saudi National Day, the day I became an Overseas Filipino Worker. I vividly remember that foreboding anticipation when I was left behind at that time. Most of the passengers in my flight were already fetched by their employers. Some fellow OFWS gave me money to call my contacts and to buy food. Since I was the youngest and a first timer; they were concerned about my situation. I kept calling the company that hired me but to no avail. I had to sleep in the airport. It was only through the graciousness of some friends, that I was able to leave and later settled to my company. I became a part of an all-Filipino team that was commissioned to build a water bottling company. All my other five colleagues were former OFWs who were in their mid-40s and 50s already. I was the newbie. I realized then that we OFWs need a lot of provisions when going abroad – among them, a strong determination, faith, patience, understanding, and humility. Loneliness and boredom were just some of the obstacles that I needed to face and overcome. In the course of my work I had a chance to deal with different nationalities. Once, there was this Italian engineer named Tiziano who worked and stayed in the plant for a week. He has traveled the world because of the nature of his job. He has a wonderful family living in Milan, Italy. We were having a conversation one day, about family and his country, when he asked me how old I was. I replied, ‘28.’ He then asked me why I was in Saudi Arabia. I asked him what he meant and he explained that since I’m young, I should be in my home country swimming in our beautiful beaches, flirting with pretty ladies, and enjoying the best years of my life. I was taken aback by his remark but I just smiled. Our definition of living our lives to the fullest differ. To defeat boredom, I started blogging about my life and my thoughts about Saudi Arabia. Thoughtskoto (www.jbsolis.com) was born in 2005. After three years of blogging, my wife (who later joined me in Saudi Arabia) and I decided to create our own blogging award. At that time, the Philippine Blog Awards was also being established and Thoughtskoto was nominated in the Bloggers Choice Awards. However, when my wife and I looked at the roster of nominated blogs we were surprised not to find other blogs from other OFWs. Aware that there were many bloggers around the globe linked to our blog, we then decided to make our own award for those wonderful and inspiring bloggers. We named it Pinoy Expats/OFWs Blog Awards (PEBA). The organization serves not just to recognize and honor the best and inspiring OFWs and expats stories through their blogs and creative skills, but also to become the voice of OFWs in the social media, particularly on Facebook. It is registered under SEC and BIR as a non-stock, non-profit organization. We started with a handful of volunteers. I tapped the support of some bloggers to be my partners in our first run. Among them were Pete Rahon, an OFW based in South Korea; Lionel Gonzaga, an OFW from Dubai; and NJ Abad who is based in Jeddah. The online nomination, judging, and awarding were done successfully through the collective efforts of individuals from different parts of the globe that formed the core members of PEBA. Today, PEBA has evolved as an international organization of OFWs which provides sound, clear, and consistent advocacy initiatives on important issues affecting them, their families, and the nation. So what makes PEBA unique and different? I would like to answer that with a quote from the 2010 opening entry of PEBA president, NJ Abad: "PEBA will not just be an organization that will give annual awards for exemplary blogs but it will proactively act on issues that will make a difference in people's lives, especially the young children, and the OFWs and their families." Being a non-profit organization, proceeds from any of our activities and other funds raised were judiciously spent for the awarding expenses; scholarships for outstanding yet poor students; and for PEBA projects like PEBA CARES and PEBA HELP, the social arm of PEBA in helping distressed OFWs around the globe. Given the credibility that the organization has achieved both online and offline, PEBA continues to make a stand on issues that directly concern and affect OFWs and their families. In 2008, we established the blog awards. By 2009, we have already emphasized the OFWs’ role in our country and the good we are doing around the world. In 2010, we made a stand on one of the biggest issues that confronts OFWs: family disintegration. It is a sad reality with its complex and compounding social cost to the nation and Filipino culture. I do not know how we can stop it but we continue to explore possibilities and ways of alleviating them, particularly through the use of social media. Together with the hardworking and dedicated PEBA administrators in more than 24 countries, the organization has become a popular and recognized hub of OFWs in social media with over 300,000 followers on Facebook and Twitter. PEBA posts reach more than 75 countries, and there are millions who participate on a weekly basis - sharing, commenting on, and expressing their “likes” to, our postings. On the issue of the Balikbayan Box*, for example, our postings reached up to 16 million participants with more than 4 million total “likes,” “shares,” and comments on our posts during the height of the issue. With the potent presence of OFWs online, I am hoping that it would be translated to political power in electing public officials who have the welfare of OFWs and their families in their hearts and minds. *The issue stemmed from the directive of the Secretary of the Bureau of Customs to open Balikbayan Boxes (box containing items and goods like canned foods, soap bars, lotion, perfume, shoes, t-shirts among others collected over time and sent by OFWs through a forwarding/cargo company to their families in the Philippines) which were allegedly being used for smuggling purposes. 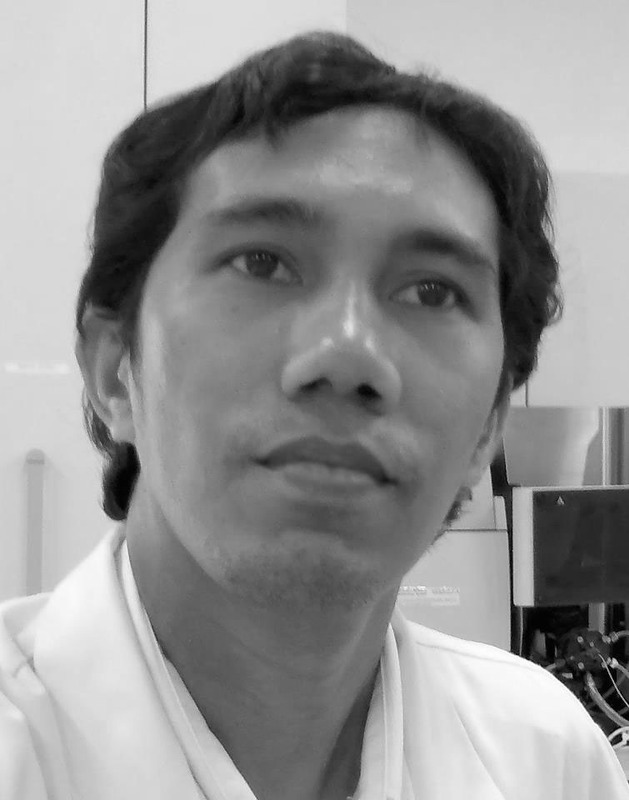 Jebee "Kenji" De La Cruz Solis, chemist, Kingdom of Saudi Arabia. 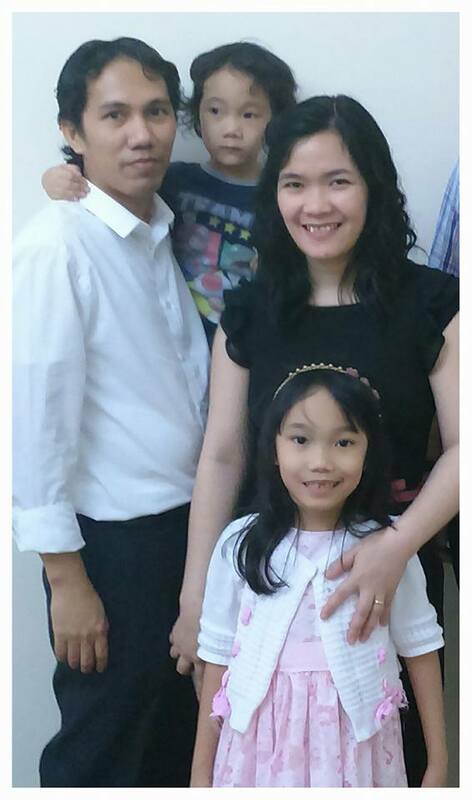 But first and foremost he is husband to Shiela, and father to their kids Hevyn and Gael. He started as blogger writing his personal and family experiences as an OFW to educate and inspire others. He is the founding chairman of the Pinoy Expats/OFW Blog Awards (PEBA) that started as an award giving body and now transformed as a platform for OFWs to advocate in the social media (Facebook) the protection and promotion of migrant workers rights.